Actively Seeking Ink Smith Dedicated Reviewers. 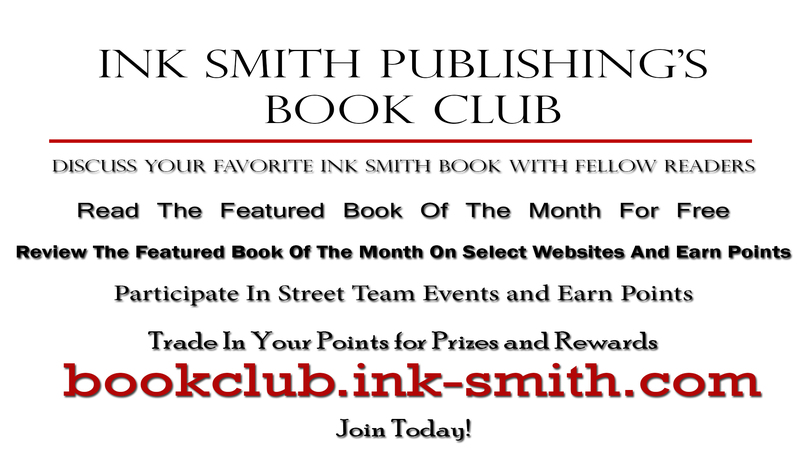 We have the Ink Smith Publishing Book Club as a great way to give back by offering a free book a month and the opportunity to earn reward points. We are now looking for dedicated reviewers. What would you get as a dedicated reviewer? If you didn’t like the book that’s ok! If you did great. Any review is appreciated. Reviews must be posted at the book club to be verified. So if you are interested, please fill out the form below and someone will be with you in 24 hours. Please past the link one previous review you have done. If you haven’t joined our book club yet, you should. We offer the eBook version of Featured Book of the month for free to all members. Members can review the featured book for points. Points earned at the Book Club can be traded in for gift cards. Now with the street team you can earn EVEN MORE by participating in the various activities listed on the website. There are plenty of reasons for you to join! So what are you waiting for? Congratulations to the following winners for the January book giveaway! 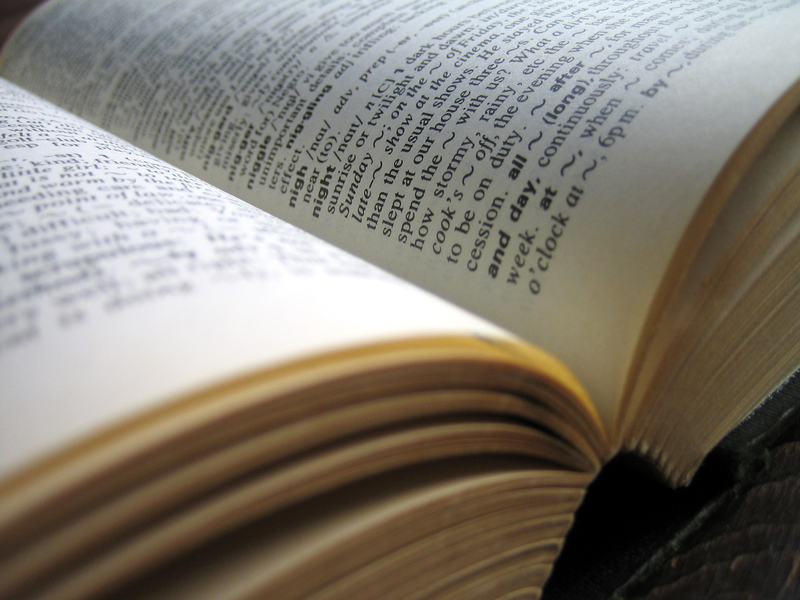 Tobi Helton– Winner of the Paperback book of choice. Tanya Gaunt, Clark Mei, Leah Holloway, Sharyl Saromines, Kerri Mclaughlin– Winners of the eBook of the their choice, either The Coat or Five Corners: The Marked Ones. We are very excited to have concluded our first giveaway. Thank you for everyone who have participated in this giveaway! We hope that you continue to support not only us, but the authors at Ink Smith Publishing by entering into all of our upcoming giveaways. We are constantly adding new features including new prizes and now daily entry. Check our contest page for more information. Our March release, Samhain School Of Ancient Knowledge has been moved up to February 20th 2014. We are pleased to present our second book release giveaway. 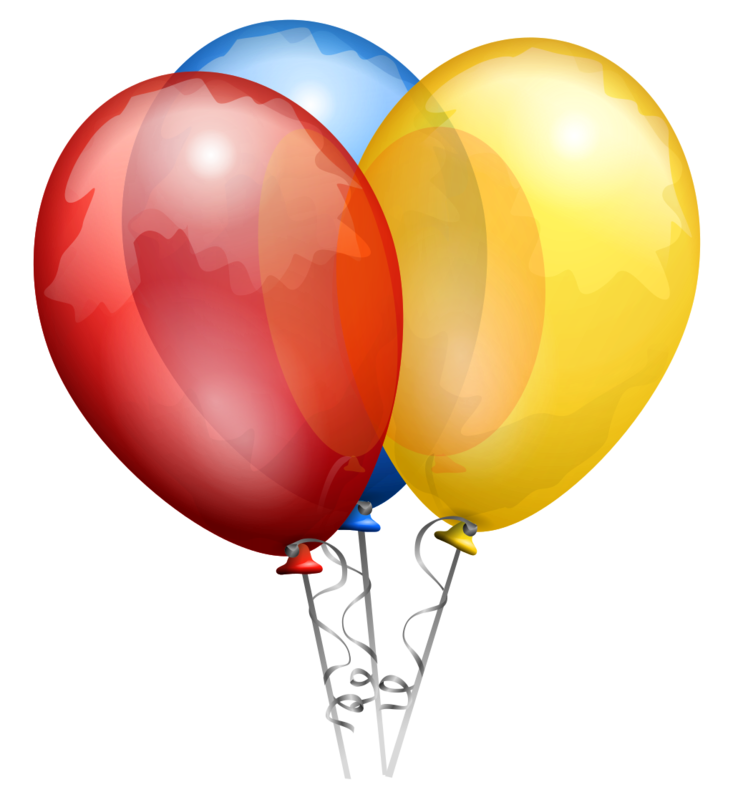 We have added new options, including daily entry, blog posts and new prizes. We will be adding a few more prizes in the next few days, but you can enter the contest as of now. Entering is simple and best of all… FREE! So if you like supporting authors, reading and free things enter the contest today! Susan Cook, a residential real estate agent, has no reason to believe that her customer, Charles Holiday, is anything but an ordinary buyer. Charles is neither ordinary nor a buyer. When Charles’ past catches up with him, Susan is thrown into a life changing adventure. Charles is flying them to safety when his plane crashes. Susan, Charles and a huge fur coat survive the crash. 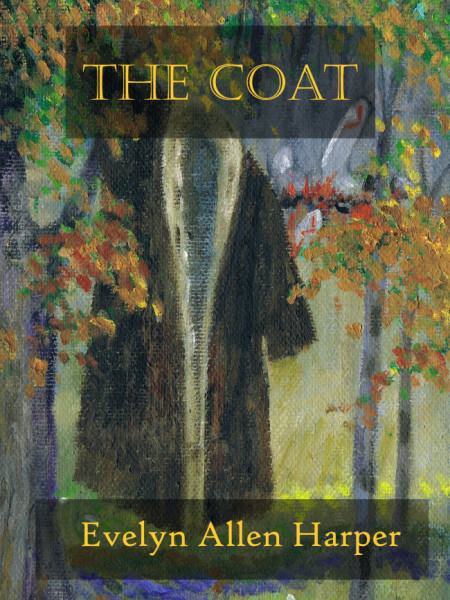 The coat protects the two of them from the elements, but not from Charles’ enemies. If you haven’t had a chance to enter the book giveaway for this book, you still have time! New Entry Option For The Book Giveaway! Do you like free stuff? Do you like to read? 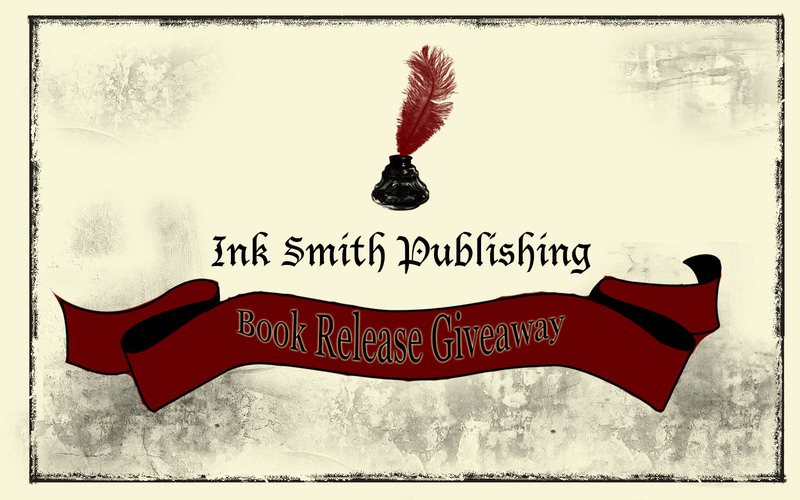 Enter Ink Smith Publishing’s book giveaway today! You can win free paperback books, ebooks and more! All you have to do is complete the entry by clicking the photo or link below. To enter you can like us on Facebook, follow us on twitter or our new option, POST A WRITTEN BLOG POST! Simple easy and many of them you can do daily. We will now be giving away one free book a month via these giveaways! This month you will have the option to choose which book you want due to our calendar schedule of two books released, The Coat or Five Corners: The Marked Ones. By following our Facebook page or Twitter you will be informed with information on the most recent giveaway and other events. Enter and share! This is a great opportunity!